Big Play Days provide an opportunity for budding young musicians to gain their first experience of playing in an ensemble. It’s very informal, focusing on fun and friendship. There is no minimum standard, everyone is welcome so why not come along and join in the fun! You will meet other like-minded young people and receive professional guidance in what it means to be part of an ensemble. 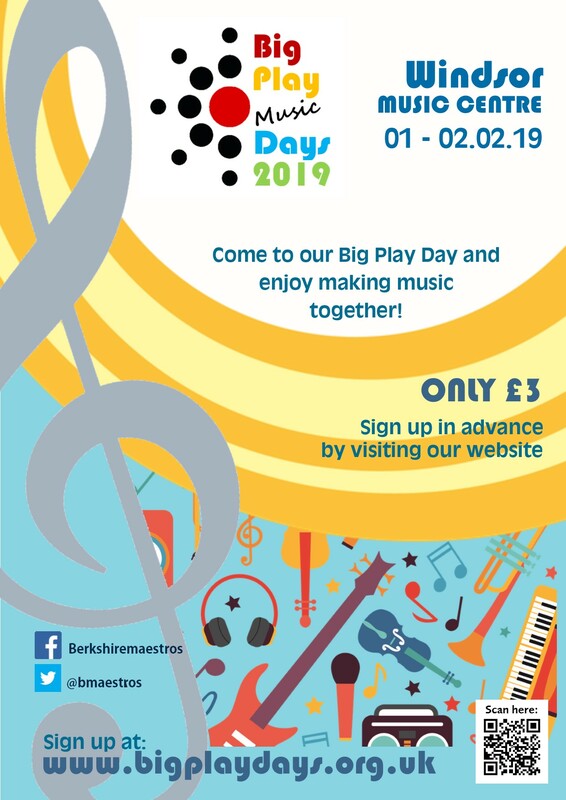 Your local Big Play Day will be at a Berkshire Maestros Music Centre. The cost is just £3. You can join other young people from your area playing similar instruments to you and have fun making music. For full details and to enrol, please see our website here. Please check the website carefully for the exact times of the session appropriate for your instrument.